June is here and it's time for another edition of "Gotta do THIS" focused on Calgary, Kananaskis and our surrounding mountain parks. Check out the events, activities, and attractions below, and add a few to your family's "Fun List" for the month of June. I'll be featuring cool places to go camping over the next few months. This month's camping sponsor and our feature campground is Sundance Lodges in Kananaskis. Family owned and operated, Sundance Lodges is proud of their family-friendly reputation and popularity with repeat visitors. Once is never enough with this great campground and the kids will be begging to come back year after year. Proximity to Calgary. Located in Kananaskis, less than an hour away from the Calgary city limits, this is a great destination for that first camping trip or for families camping with young children. If something goes wrong, you won't be far from home and you'll easily get out to camp Friday after work without a long drive. Comfort! 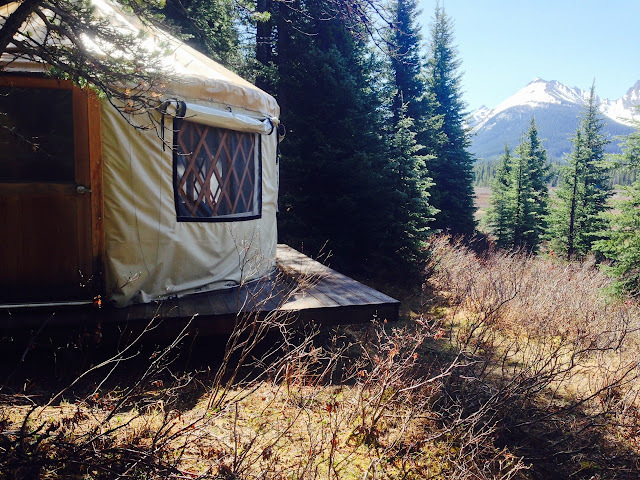 Sundance Lodges offers the opportunity to camp in cozy trapper's tents or tipis. This is great for chilly early or late season camping and for families needing a little bit of additional comfort. You'll appreciate your trapper's tent or tipi if you are up in the wee hours with babies or toddlers, and you'll love your accommodations when it's raining or cold outside. Comfort camping is also a great way to convince reluctant friends or spouses to try camping with you and beginners won't need to invest in a lot of gear for a trial trip. Location, location, location. You could camp here for a week and never run out of things to do. Hike along nearby Ribbon Creek, hike or bike to Troll Falls, visit Kananaskis Village for a coffee or ice-cream cone after biking the paved Bill Milne Trail, rent a canoe, kayak, or stand up paddleboard and go for a paddle across Barrier Lake, or check out the trails in nearby Peter Lougheed Provincial Park. Sundance Lodges is located in the heart of the Kananaskis Valley with access to a wide range of outdoor activities. For information on trails in the area, visit this link to the Alberta Parks website. For information on boat rentals, visit the Kananaskis Outfitters website. Family-friendly Accommodations. Sundance Lodges is a family run establishment with strict quiet time hours. You won't have to worry about rowdy campers here partying all night long. The owners want to make sure everybody has a lovely camping experience so that you'll be coming back for years to come. Group friendly. Sundance Lodges permits group bookings for up to 6 sites. This is great news if you want to go out camping with family and friends, knowing you'll be in close proximity to one another for group meals, campfires, and social time while the kids play. There are also RV/tent sites at this campground so families in your group will have a wide range of options for how they choose to camp. Want to make a reservation? There are still a few weekend openings in June for tipis and trapper's tents, and again starting the September long weekend until closing Sept 18th. There is also some room midweek most of the season. Finally, Sundance Lodges has a cancellation list for weekends in the tipis & trapper's tents if you'd like to call and put your name on it for a prime weekend this summer. Unserviced campsites for RVs, trailers, and tents are available most weekends in the summer as well as midweek. Visit the Sundance Lodges website for contact information. This month's road trip feature is the Alberta Badlands with June sponsor, Canadian Badlands Tourism. Just in time for summer, Canadian Badlands Tourism has come out with a super fun bucket list featuring activities and attractions across Central and Southern Alberta. I'd like to share my five favourite activities on their list with you that I'd recommend adding to your family's personal bucket list this summer. We spent two days paddling on the Milk River while camping in Writing on Stone Provincial Park a couple of years ago and it was an amazing experience. We paddled through a scenic landscape of hoodoos with cliffs towering above us, and enjoyed calm water that was perfect for leisurely floating. The Writing on Stone Provincial Park campground makes an ideal base camp for day trips on the river and it's best to visit when the river level is high late June to early July. For more on camping, hiking, and paddling in Writing on Stone Provincial Park, check out my story on Camping in Writing on Stone Provincial Park. The Oldman River can be floated from Lethbridge with tube trips available from the Old Man Tubing and Raft Tours Company. Camping is available at Park Lake Provincial Park or at the Oldman River Campground in the Oldman River Provincial Recreation Area. We have also paddled on the Red Deer River as an overnight trip and plan to do a repeat trip this summer. There are many easy stretches along this river with campgrounds spread out along the way. For more information on paddling the Red Deer River, visit this great resource guide: Paddling the Alberta Badlands from Paddle Alberta. Two - Examine the largest concentration of First Nation petroglyphs and pictographs on the great plains of North America in Writing-on-Stone Provincial Park. While camping in Writing on Stone Provincial Park and paddling on the Milk River, you have to do some exploring on foot to see the ancient petroglyphs and pictographs. The hiking trails in this park are spectacular and there's a lot of freedom to climb and explore off trail. We finally visited the world-famous Royal Tyrrell Museum this spring and it was a fabulous day trip destination. We're slowly exploring the Drumheller area one day trip at a time and eventually need to plan an entire weekend in this spectacular area. You will be visiting a "biker bar." Most visitors to Wayne arrive on motor bike and you will most likely be the only guests on "pedal bikes." There is also a very good chance that you will be the only people with children in the bar. Needless to say, language is sometimes an issue and conversations around you might not always be family-friendly. We didn't really find this to be a big problem but I would suggest going early in the day before the bar gets too busy. Five- Join a real excavation and dig for fossils in Dinosaur Provincial Park, a UNESCO World Heritage site. We LOVE Dinosaur Provincial Park and camp here late May most years. June is an ideal time to camp in this park before the mosquitoes come out and while it's still a reasonable temperature. If you can't make it in June, try to visit the park in September when the mountain parks start to get chilly. Dinosaur Provincial Park is a great destination for cooler weather when it's still very warm down in the badlands. For information on guided tours, please visit the Alberta Parks website. As an Alberta Parks Ambassador, I want to feature one provincial park each month in this monthly series. This month I've chosen Bow Valley Provincial Park because we recently camped here at the Bow Valley Campground, and it's a great early-season camping destination. The campground has always been quiet and peaceful when we've camped here. The sites are well spaced, private, and surrounded by trees. Most of the time you won't even know you have neighbors. Families can bike all over the park to access trailheads on the quiet campground roads. There's also a lovely paved bike trail in the park that is quite enjoyable. 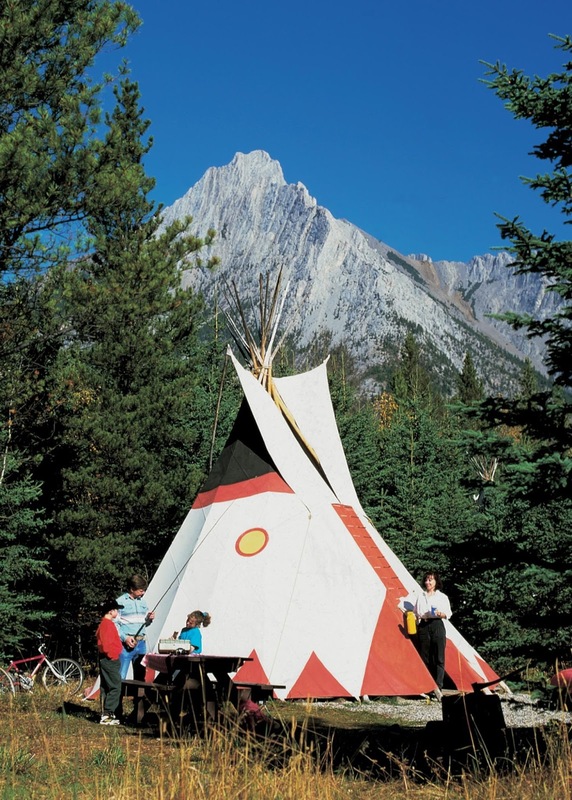 The park is well situated for activities in Canmore, Banff, and throughout Kananaskis. Information on camping at the Bow Valley Campground can be found on the Alberta Parks website and reservations can be made 90 days in advance of your stay. If you can't get into this campground, try the Willow Rock Campground across the road which is first come-first serve. Follow this link for a full list of campgrounds in Bow Valley Provincial Park. The second annual Trails Fest is hosted by Friends of Kananaskis Country and takes place on June 11th at Kananaskis Village. 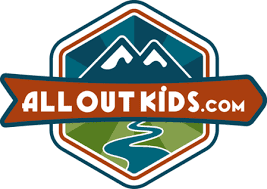 Connect with local hiking, biking, skiing and outdoor clubs & organizations and find out how you can get involved. Join a guided trail activity including interpretive hikes, mountain biking, orienteering, bear spray demonstrations and more. Banff's the place to be on June 10th and 11th with this year's Performance in the Park featuring a great line up of musical artists. For complete information on performers and tickets, visit the Banff Lake Louise Tourism Website. The event takes place at the Cascade Gardens in Banff with discounted tickets available for children ages 2 - 12 years old. Celebrate International Mud Day on June 26th in Calgary. The Children's Commons Ecological Society is hosting a fun Mud Fair which will take place at Lloyd Park, 5 minutes west of Spruce Meadows in South Calgary. All proceeds will go toward supporting the Red Deer Lake Community Association and the CCES Calgary Nature Kindergarten. 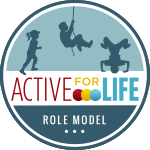 Activities will include mud pits, a mud slide, mud kitchens, live music, and outdoor yoga. Food trucks will be on site along with a green market. For full information, please visit the Event Brite website where you can purchase tickets for the Mud Fair. Give Dad a "MANcation" at the beautiful Mount Engadine back-country lodge. Situated an hour from Canmore in the Spray Lakes Valley, this is the only back-country lodge you can drive to in the Rockies. Father’s day at Mount Engadine Lodge includes a guided fishing trip to secret fishing holes in the area with Wapiti Sports. After, enjoy a gourmet dinner prepared for you with locally sourced seasonal ingredients. Dinners at the lodge are served family-style, allowing guests to share stories and spend quality time together. Want to come out for the day? The area also offers some of the best hiking and outdoor-adventurers in the Rockies. Day hikers can stop by for a cold local brew and a few hours of re-fuelling. The lodge serves afternoon high tea every day from 2-5pm and features a charcuterie plate of local meats, refined cheeses and olives, daily-baked goodies, fresh fruit, locally blended coffee from Canmore's Mountain Blends Coffee Roasters and your choice of Canadian tea blends. On Sundays, Mount Engadine also offers freshly baked Swiss strudel. For more information, please visit the Mount Engadine Lodge website and make sure to ask about their fabulous yurt the whole family will enjoy staying at. Stays in the yurt include all meals at the lodge. It's June and this is your last chance to bike Highway 40 before the road opens to traffic on June 15th. For more information on the bike ride we enjoyed this past month, check out my story: Biking to Cat Creek, Kananaskis. We enjoyed glorious wide open roads followed by a beautiful hike to the Cat Creek waterfalls. 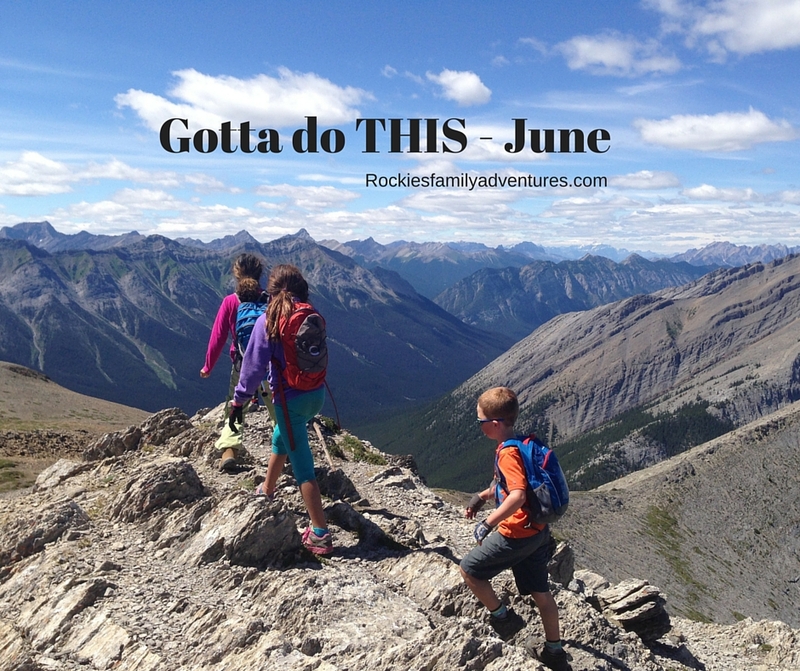 My second pick for this month is anything in the Banff or Canmore areas. These towns get crazy busy come July and are best enjoyed before the kids get out of school and family vacations begin. Spend a weekend biking around Banff or Canmore now before the tourists descend on these small towns next month and you'll have a much more pleasant "local" experience. Want to visit a new park this month or find a new favourite natural area to explore this summer? 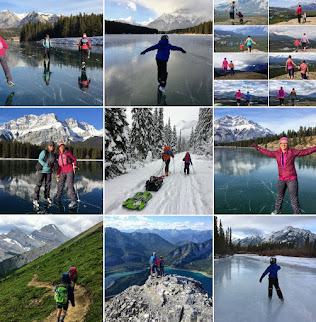 My Calgary Urban Hikes page is full of fun ideas across the city. Don't have a campsite yet? Don't despair because you can still go camping for the long weekend. 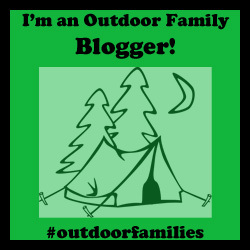 Here are my tips for getting a campsite for the long weekend. Go to the Alberta Provincial Parks Reservation site. Plug in the dates (June 30th through July 3rd) and see what's available. I just did it and there are still a few sites out there. Drive out early and grab a first come-first serve site close to Calgary. I'd suggest going Tuesday if possible. You'll still have to pay for your site, even if not camping there until Thursday night. You also have to put something significant on your site. (Tent, trailer, etc.) Don't just put a lawn chair on the site and leave. There are many first come-first serve campgrounds in the Elbow Valley as well as in the Bow Valley. Visit the Alberta Parks website for a complete list of first come-first serve campgrounds. I know you aren't thinking about snow or winter sports right now but great savings can be had for the family who plans ahead. Buy your RCR season ski passes now and get great deals for the whole family. Sale ends June 25th so jump on these great deals now! Information on season passes for all four RCR resorts can be found on the RCR website. Special thanks to this month's official sponsors, Sundance Lodges and Canadian Badlands Tourism. I also want to thank Mount Engadine Lodge and Resorts of the Canadian Rockies for their continued support in helping my family enjoy time in our beloved Rocky Mountains. Thanks also to Alberta Parks for choosing me to be one of their AB Parks Ambassadors this year. We will be visiting many new parks and spreading the word about Alberta's awesome provincial park campgrounds.